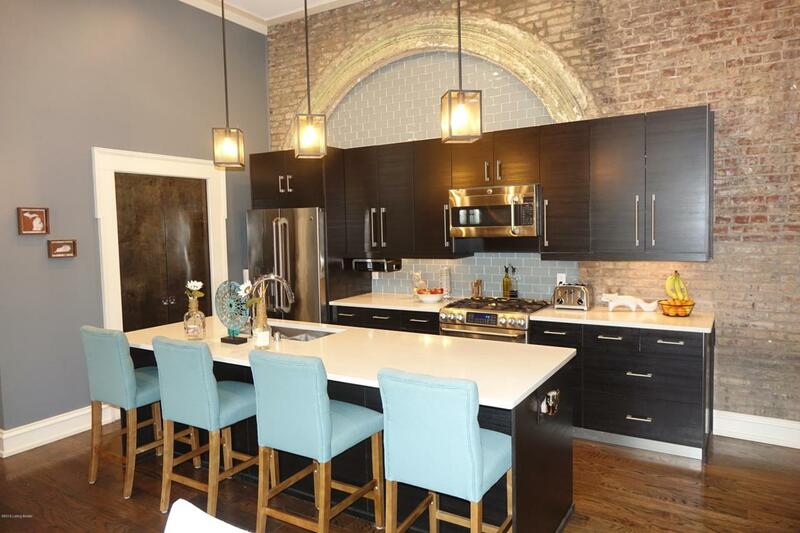 Oh What Fun It Is to Live in Unit 202 being a stone's throw from Slugger Field as well as all the action in NuLu and downtown hot spots like Waterfront Plaza, Yum Center, Fourth Street Live and all the yummy restaurants and distilleries! From there, it's just a hop and skip to Germantown, Butchertown, or Crescent Hill. So much to do and so little time! 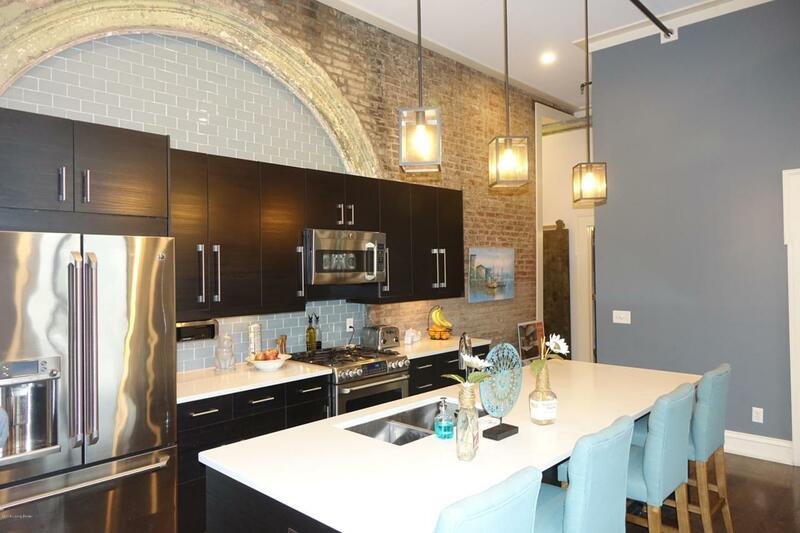 This loft was renovated in 2013 in what was known as the J. Bacon & Sons building (circa 1875) and still has much of the original exposed brick. 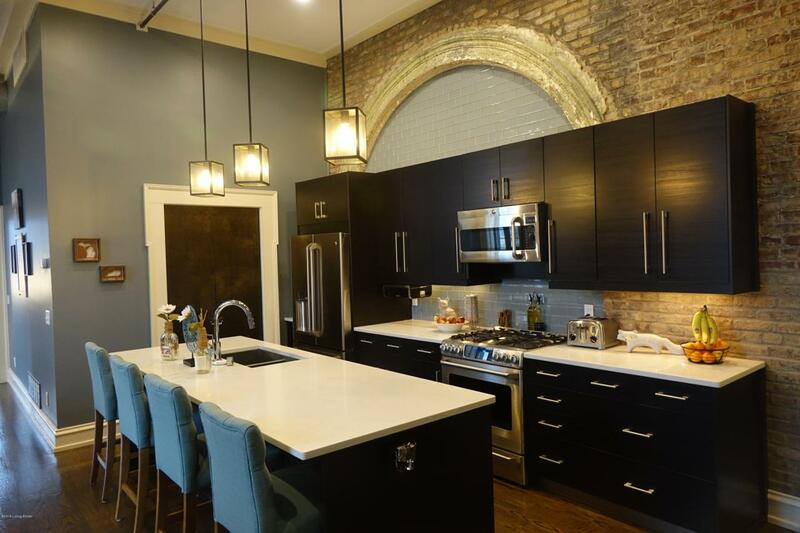 Don't miss the brick arch in the kitchen as it really adds to the ambience of the entire space. Open and cozy with 13' ceilings and hardwood flooring throughout as well as stainless appliances make this a fabulous place to live. Wake up on a cold morning and pad across the heated masterbathroom floor. This home has the feel and quality of luxury! Ceilings have been professionally sound proofed. There is a community room that overlooks the river that serves both as a workout room or a gathering space for parties complete with a small kitchen. 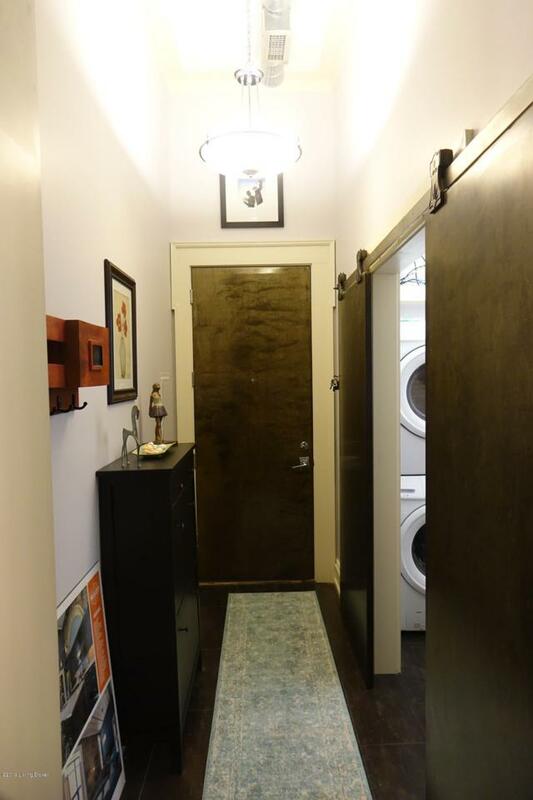 Lots of storage throughout is also another great feature of the home. Please note from pictures that the master bedroom is currently being used as the TV room but is plenty large enough to accommodate a king sized bed. There is one space in the basement garage reserved for this unit. The building is very secure and has an elevator. The sellers are offering a home warranty to buyer.